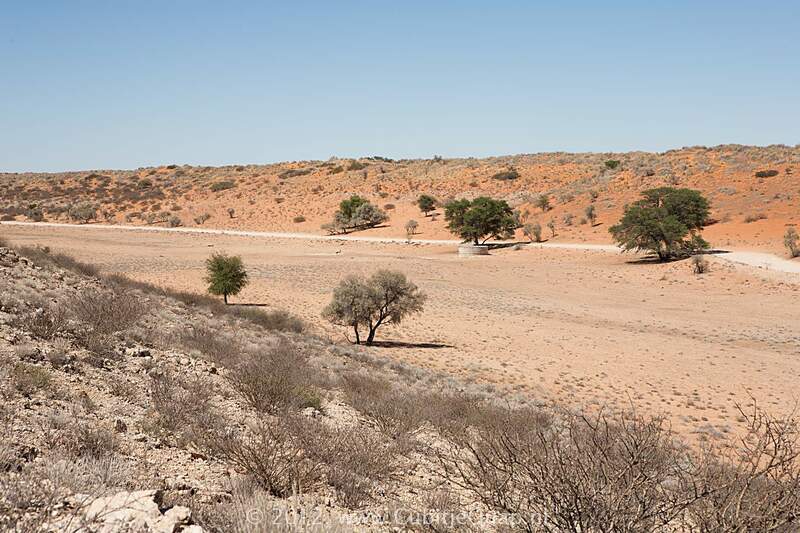 Just north of the Houmoed waterhole is a viewpoint on the eastern shore of the Auob river. 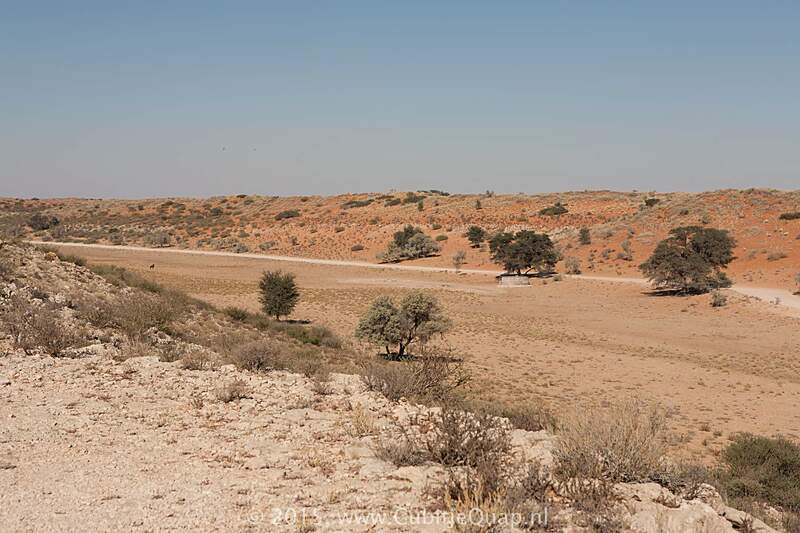 From the main road, you can cross the riverbed and climb the rocky eastern shore. 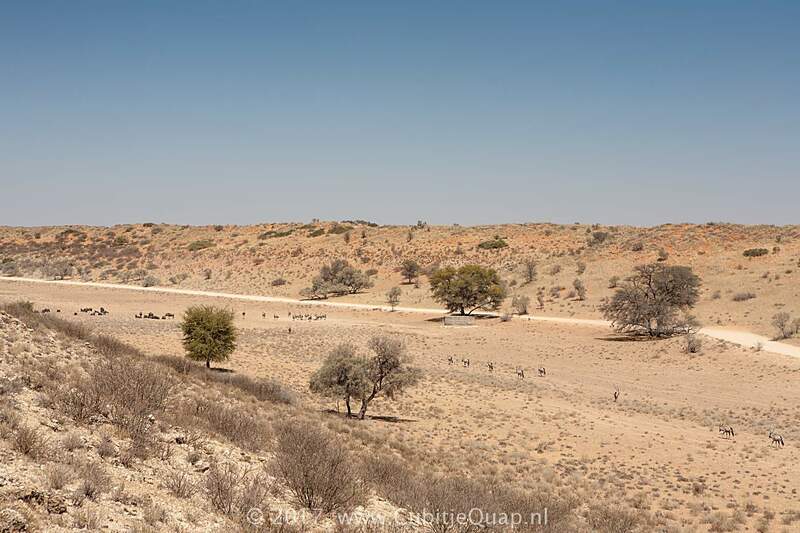 From above the river you have a perfect view over Houmoed waterhole and the Auob river. 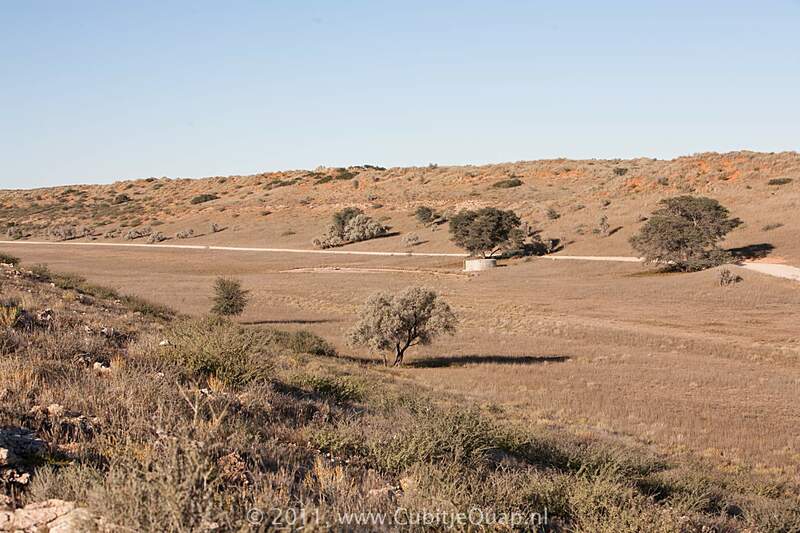 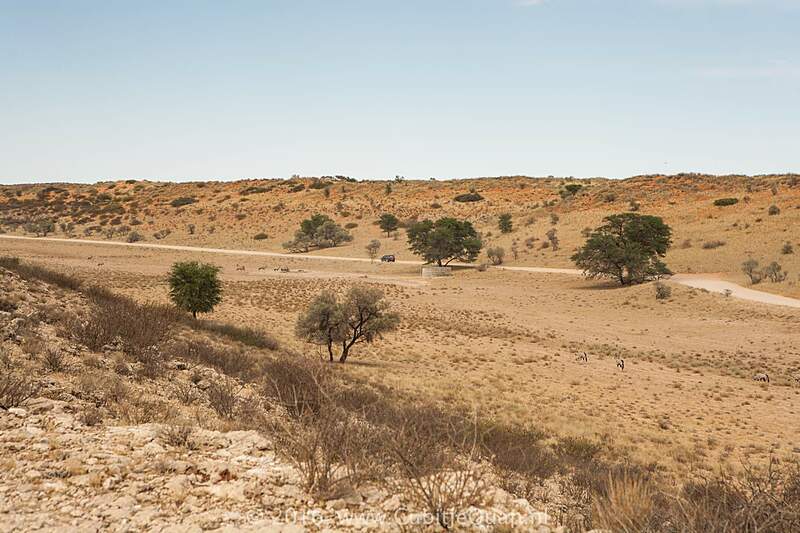 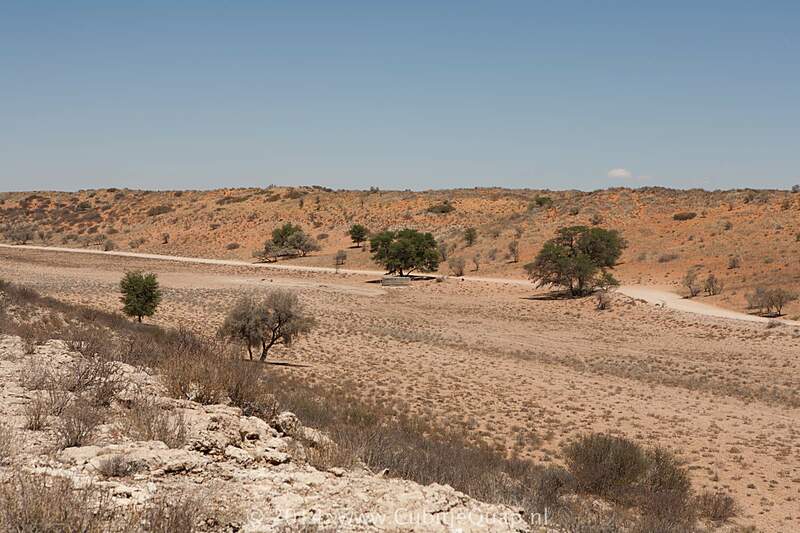 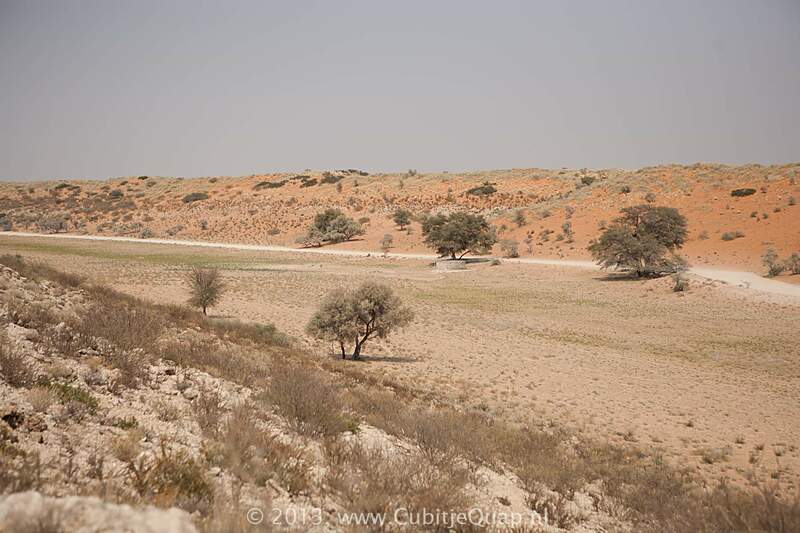 These images are looking southbound and show Houmoed waterhole.